It was the day of the 2006 Historic Churches bike ride, which tends to be one of the few occasions on which I prefer not to cycle between churches. 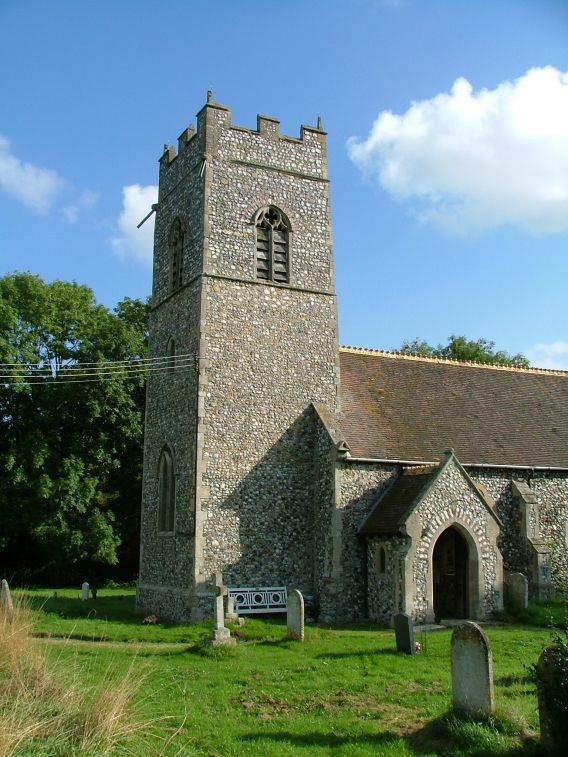 Instead, we were cherry-picking churches which we had found previously inaccessible in the area between Norwich and Long Stratton. Peter had picked me up at Norwich station at about eight forty-five, and we were out here in the graveyard of St Mary by the time the clock struck nine. Well, the church was locked. But there was a keyholder notice, a change from a couple of years previously. We assumed that Arminghall wasn't taking part in the bike ride, and went across the road for the key. However, coming up the garden path in the opposite direction I met the man who was on his way to open the church, and caused him a little consternation by revealing that the bike ride started at nine o'clock, and not ten as he had thought. So Arminghall was taking part in the bike ride, and as it turned out the people here were some of the friendliest and most welcoming that we met all day. And if Arminghall was a little behind the rest of Norfolk that day then it wasn't entirely out of keeping with the place. It is a sleepy, peaceful kind of village, which feels a bit off the beaten track, although in point of fact it isn't. if you look at a map, you'll see that Arminghall church is closer to the centre of Norwich than the city's hardened housing estates of Bowthorpe and Heartsease. But here we are, in a peaceful fold of trees and copses, and I thought that the people who lived in pleasant Arminghall were fortunate. 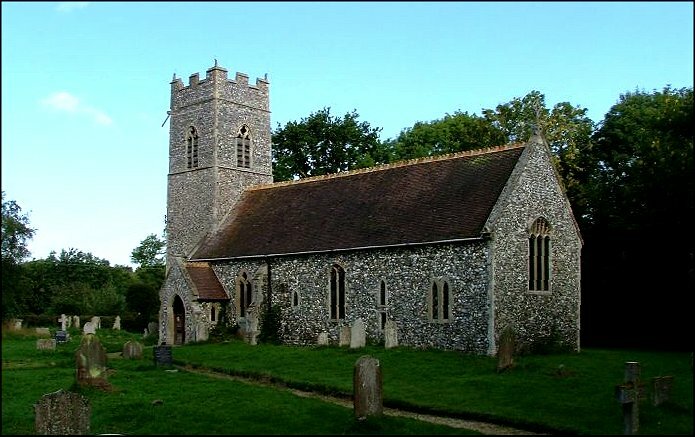 And St Mary is a small, pleasant church, if rather unexciting as these things go. There was an overwhelming restoration here at the hands of the major 19th century architect JP Seddon. He usually left churches looking pretty, and did that here, although Pevsner points out that the plans were rather more ornate than the result. 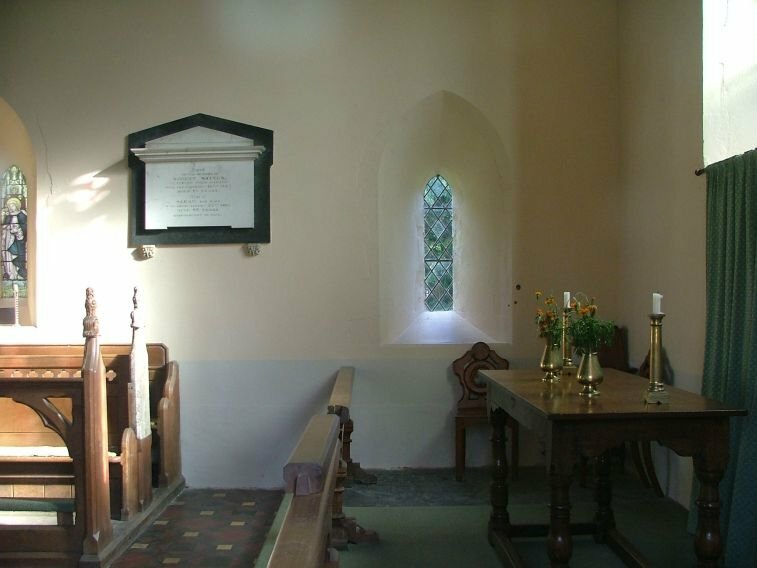 Everything is to scale; there is no change between nave and chancel, but an elegant little screen with a wide arch marks the transition. There is no dado to it, and the effect is of one of those trellises up which climbing plants grow. 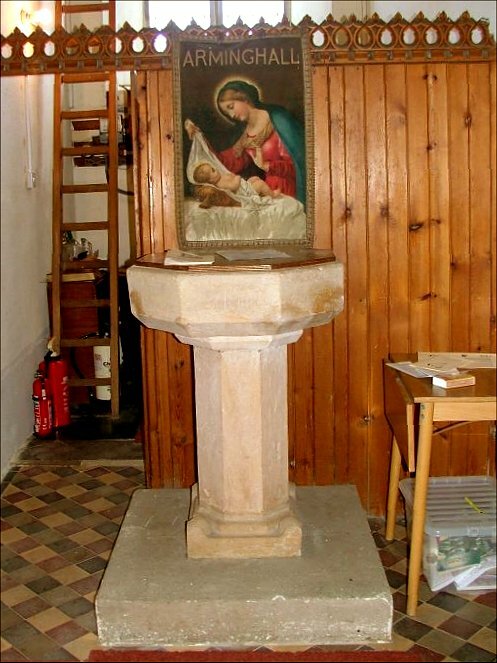 The font is Seddon's, there is a decent late 19th century Anunciation scene, and there is very little sense of St Mary's medieval past remaining. 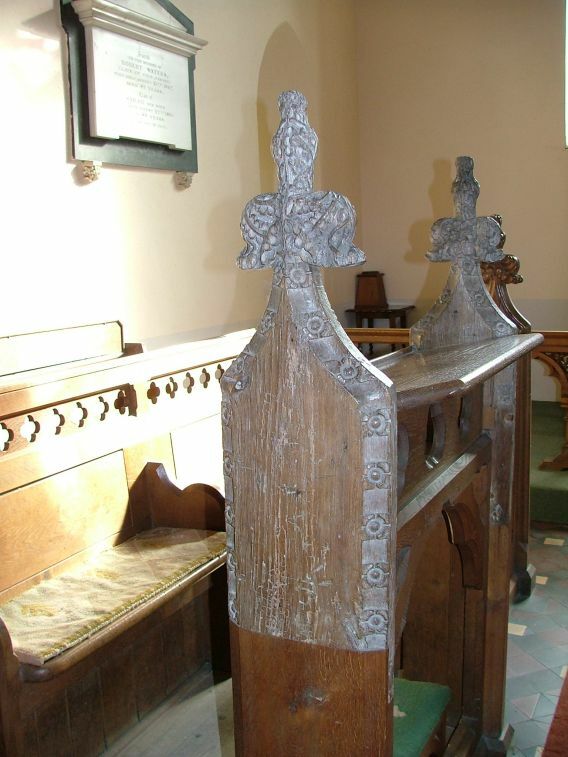 Some 15th century bench ends have been cut into the stalls in the chancel, but they are large-scale, and probably came from a bigger church than this one originally. Perhaps Seddon got them from another church he was working on at the same time, an intriguing thought. 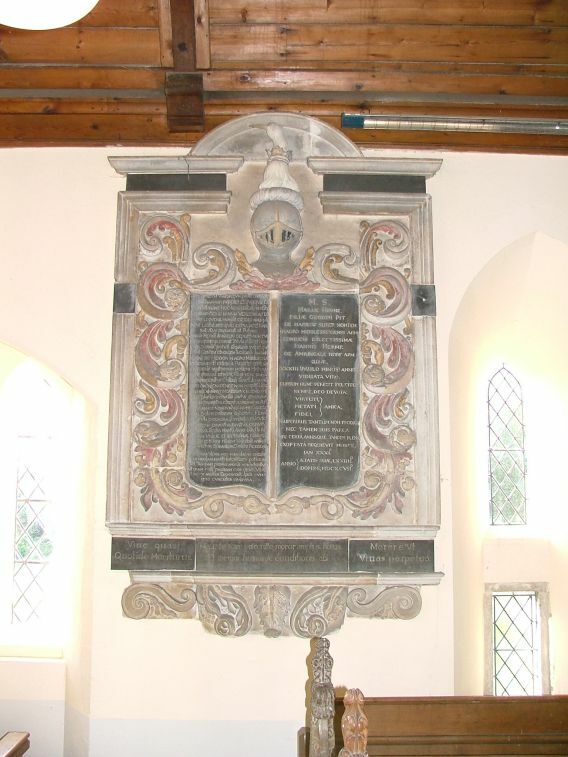 Slightly later is a grand memorial of the late 17th century to John Herne, with a carved helm surmounting it. The sombre Latin seemed a little out of place in this light, simple church. 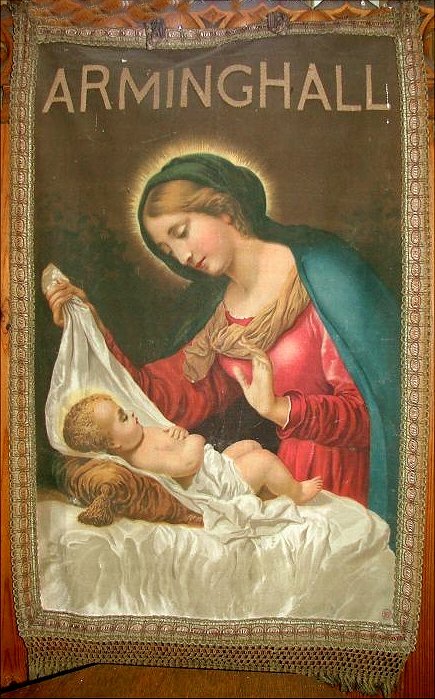 Best of all I liked the parish banner behind the font, a real period piece of the 1940s I should think, with a printed image of Mary and the infant Christ, and ARMINGHALL added confidently at the top. 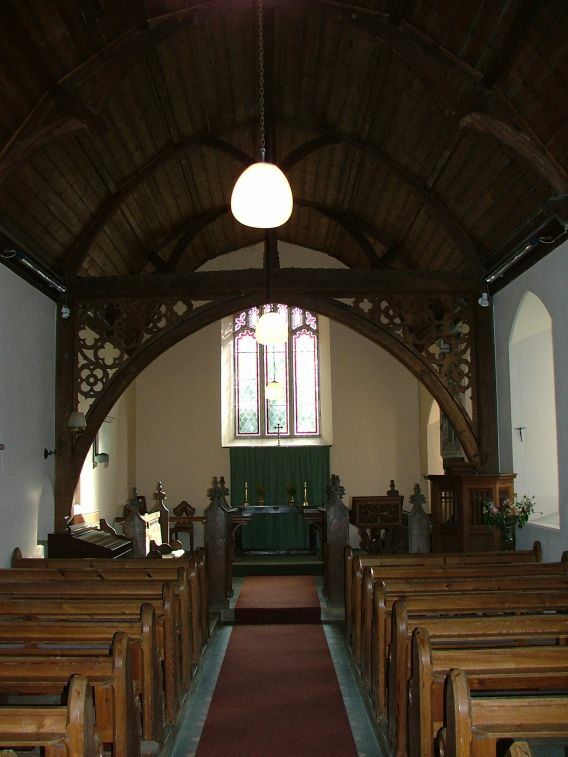 Pretty and homely, like its church; indeed, like its parish.